Millions of people spend Michigan summer vacations and fall getaways in the Sleeping Bear Dunes National Lakeshore, but how many get to experience the beauty of Sleeping Bear Dunes in winter? Whether you know the Lakeshore in winter and love it or have never experienced its stunning winter beauty, this video takes you into the true wonder of a Sleeping Bear winter. One of the countries premiere national lakeshores, located along the shoreline of Lake Michigan in Northern Michigan, Sleeping Bear Dunes is home to some of Michigan’s best beaches, hiking, kayaking and camping. Two islands, North and South Manitou, sit off the coastline and are a part of the Sleeping Bear Dunes National Lakeshore. And in winter, visitors get to enjoy premiere Michigan nordic skiing as well as snowshoeing. In this video, we get an inside look at this spectacular Michigan landscape on a blue-sky, winter day. Wander the Sleeping Bear Dune Climb dotted with snow and ice, look out over the dunes to the vast waters of Lake Michigan and marvel at the intricacies of the natural world in winter in Northern Michigan. Sleeping Bear Dunes in winter is filled with wonder and opportunities for snowshoeing, nordic skiing, winter kayaking and so much more. Enjoy! 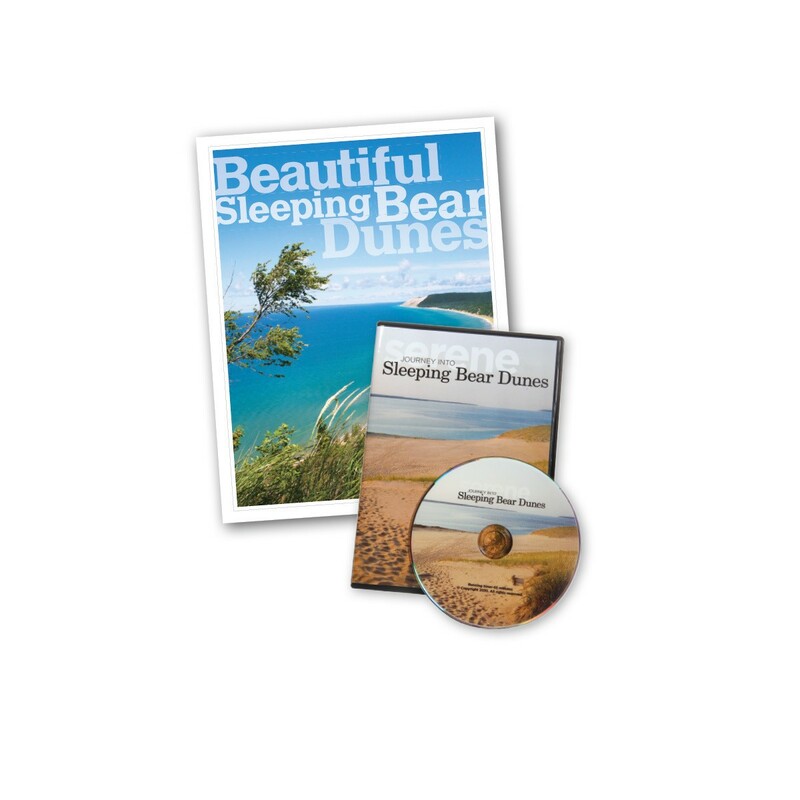 Bring the beauty of Northern Michigan’s Sleeping Bear Dunes National Lakeshore to life with the Beautiful Sleeping Bear Dunes Book and DVD Package, produced by MyNorth Media. Click here to order yours today!